The 2022 Asian Games will incorporate e-sports, alongside traditional sports for the first time, as online gaming grows in popularity. 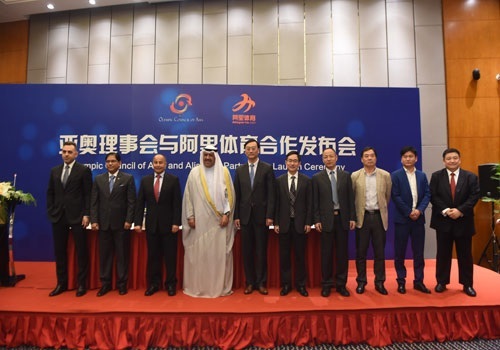 The move follows a partnership between the Olympic Council of Asia and Alisports, the sporting arm of Chinese e-commerce giant Alibaba. Alibaba is investing via their sports off-shoot Alisports, and is planning to invest $150m into e-sports over the coming years. The Olympic Council of Asia said it wanted to 'reflect "the rapid development and popularity of this new form of sports participation'". 10,000 athletes participated at the most recent Asian Games in 2014. Recently, the International Olympic Committee accepted preliminary paperwork by the International eSports Federation to add video games to the 2020 Summer Olympics in Tokyo, Japan. E-sports will also be a demonstration sport at the 2018 Asian Games in Jakarta. For the AIMAG, which will be held from September 17 to 27, a series of online qualification rounds across the three e-sports will be held in two parts: first at a national level followed by region-specific.